The speaker is housed in a sturdy aluminum frame body and tips the scales at 1.5 lbs (0.67 kg). 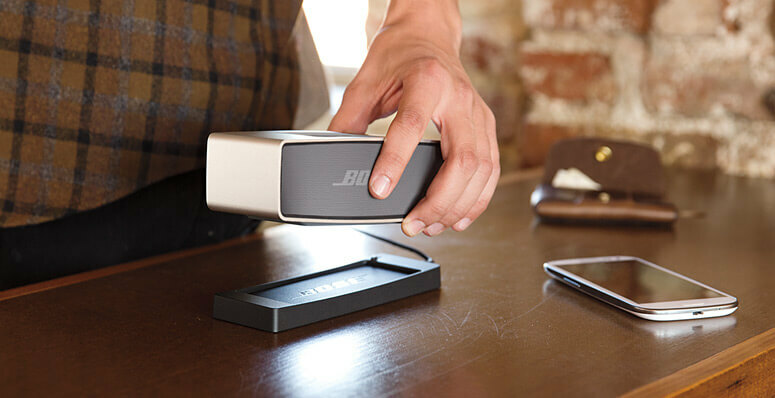 In the hand it feels solid and certainly gives the impression of a well-built speaker. Pairing is easy and automatically connects via bluetooth to your devices, eg. laptop or mobile phone. It is often compared to the Ultimate Ears Boom , a similarly sized speaker. 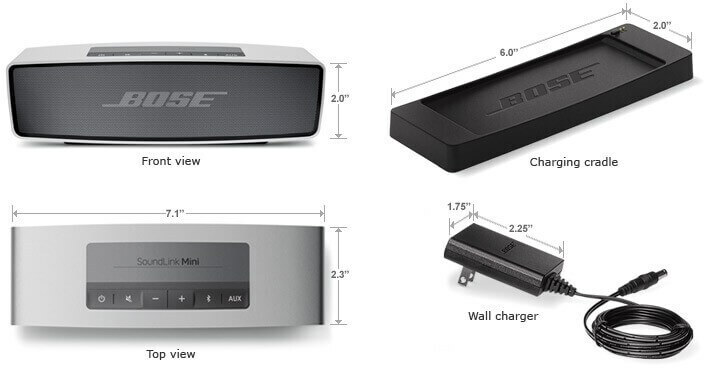 Though the Bose Soundlink mini lacks the additional features that the UE Boom has (eg. extended range, waterproof design, double the runtime) it excels in the quality of the output sound. 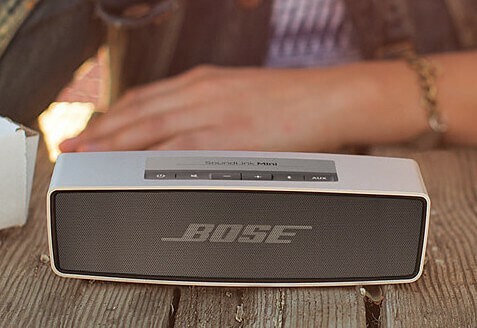 Don’t let its small size deceive you—a Bose is a Bose. 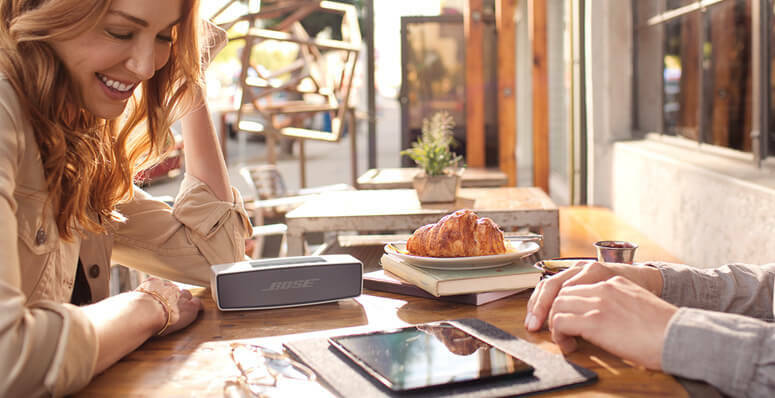 Bottom line: A compact bluetooth speaker that packs a punch with clear, defined audio and great portability. Pairs quickly and effortlessly too, definitely a well-researched and designed speaker, the best in its class.